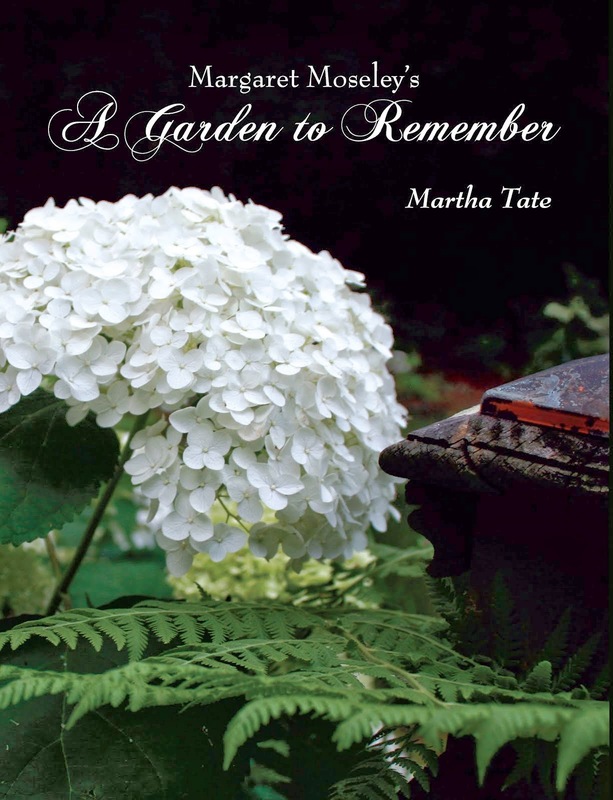 A couple I knew - she was Japanese; he was American - had a wonderful garden where, on his side, he grew Asian plants and installed Japanese lanterns and bamboo fences. In her area, she created an English garden look, exactly backwards of expectations. Everything that was written about them - and I was guilty of this - almost always included the words "East Meets West" in the title. It got to be a joke, because it became such a cliche. Looking at the yellow deciduous magnolia above, though, I was reminded of East meets West. 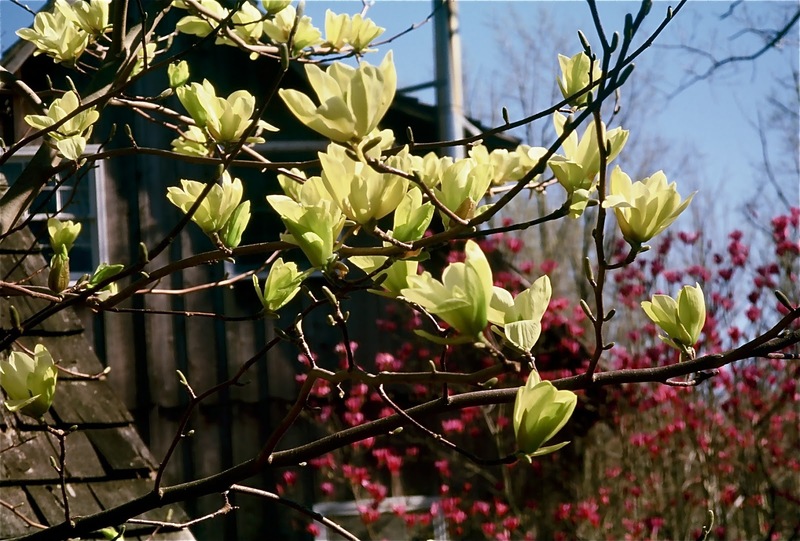 This is Magnolia 'Butterflies', a cross between the cucumber magnolia, M. acuminata from the Appalachian area of the U.S., and M. denudata from central China. I fell in love with this small tree the moment I saw it in bloom. In more northern climates, the flowers are a deeper yellow, but here in Georgia, you get the same lemon color as seen in this garden in Maryland.